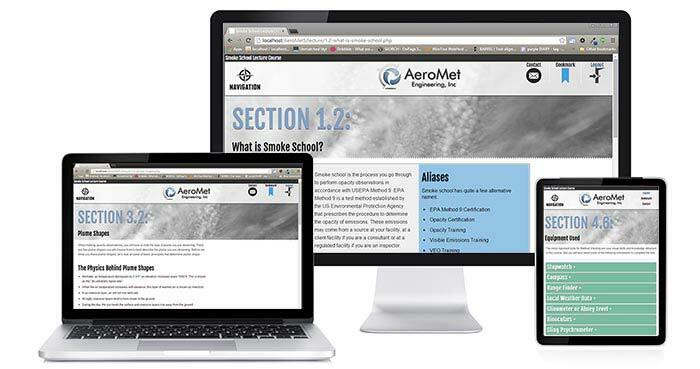 Covers all visible emissions observation methods including EPA Method 9, Method 22 and Method 203a-c with the use of photos, videos, quizzes and interactive forms. Access the online lecture anytime from any computer or tablet with an internet connection. You can even bookmark your last point to continue at a later time. Three years of unlimited access to our online lecture is only $40/user. And it eliminates travel time and expenses associated with attending a traditional classroom lecture. Download custom observation forms for all VEO methods and reference tools such as plume diagrams, opacity calculators and slant-angle correction charts. Upon completion of the lecture, a certificate is issued with your name. The lecture certificate is valid for three years and satisfies state lecture requirements. If you have questions about any of the lecture content, our support team is just a phone call or email away. Support is included with all lecture subscriptions. Click Section Title Below to Preview.